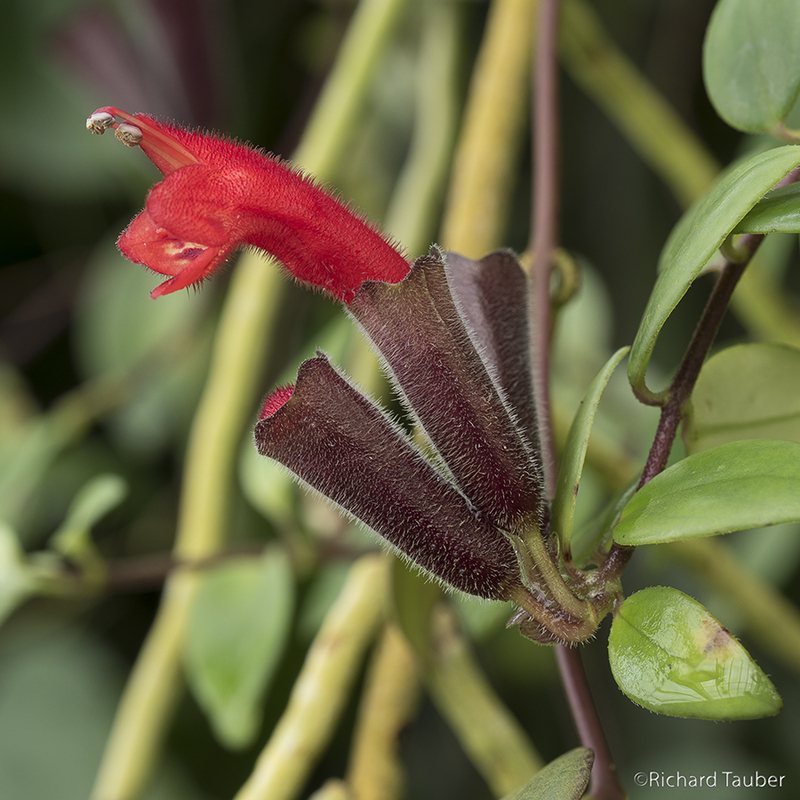 Aeschynanthus radicans is an epiphytic evergreen vine. 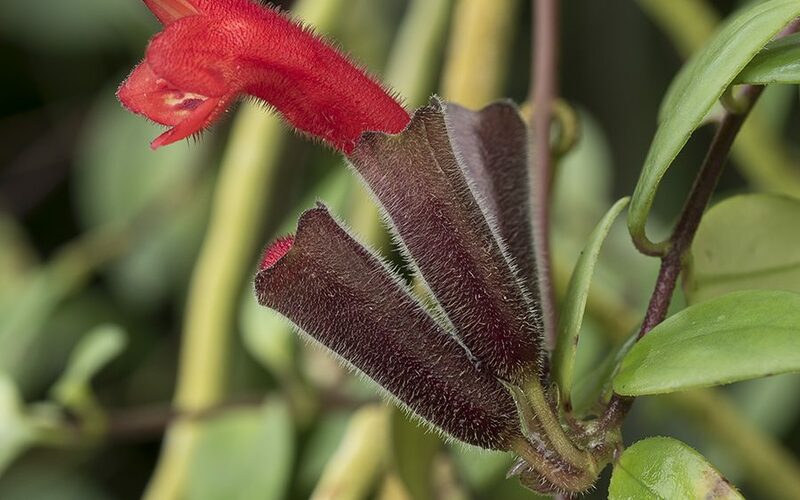 It truly earns the common name the lipstick plant with its bright red flowers that protrude from a darker tube-like structure. The genus is in the gesneriad family along with the African violet.